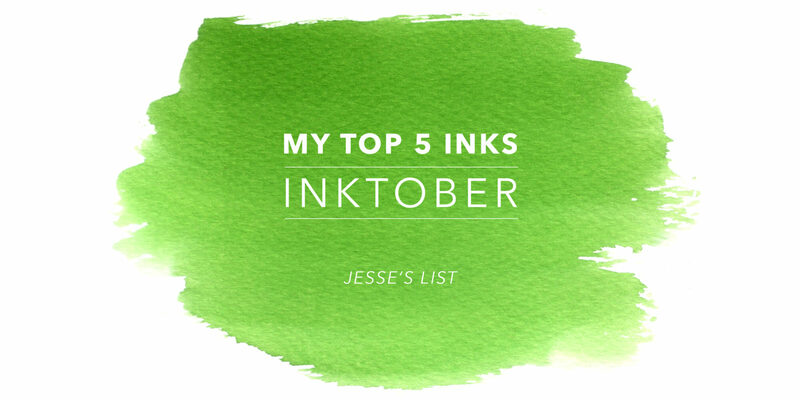 In celebration of Inktober, we’ll be taking a look at the top 5 inks of each of our staff members. Here is Jesse’s List. 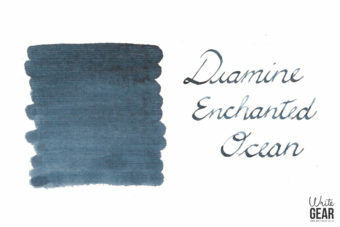 First up in my top 5 is Diamine Shimmertastic Enchanted Ocean. It’s a nice deep teal with silver sparkles. There’s even a bit of red sheen that pops up now and then. Shimmer and Sheen are two things that really excite me about an ink. 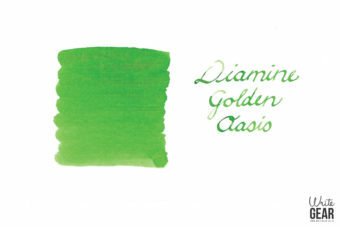 Diamine Shimmertastic Golden Oasis is another one of my favourites. Like I said, I’m a big fan of shimmer. This one is like Diamine Meadow with gold bits in it, which is basically the only way to give such a bright ink any more presence on the page. 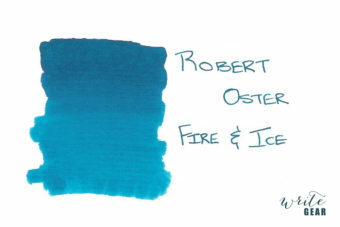 Robert Oster Fire & Ice is a favourite in the office. This ink has a great reputation everywhere, and of course I love it because it sheens like crazy. You might be surprised to see a black ink in the middle of all these bright colours, but I just love inks that go all the way. 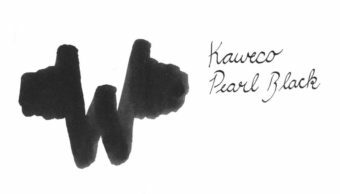 Kaweco Pearl Black doesn’t mess around. It’s the blackest black ink we’ve tried, and it’s my go-to for basically anything. It covers all the bases for me. Montegrappa Bordeaux isn’t just in my top 5 because it’s a beautiful colour – which it really is – but it also has personal meaning to me. This was one of the first inks we stocked at Write GEAR. Every time I use it, it reminds me of our humble beginnings, and how much we’ve grown in the past 3 years. Well that’s it from me. Im not as technical with my ink choices as the rest of our team (well Jamie and Kaamraan especially). I generally just like a colour or I don’t. The technical properties of them normally dont phase me too much. In terms of colour choice though I guess you could say Im not really biased to any particular genre of colour really. When most of my friends are conditioned to writing in blue or black (ballpoints) and they see some of the inks I write with it always turns a head. Generally if it’s easy to read and turns a head then Im going to love it. Let me know if you’ve tried any of them and what you think of them. Perhaps some technical thoughts to any of these? This entry was posted in INKTOBER. Bookmark the permalink.